First published in 1954, this title is a companion to The Anatomy of Poetry as a literary guide for the student reader. 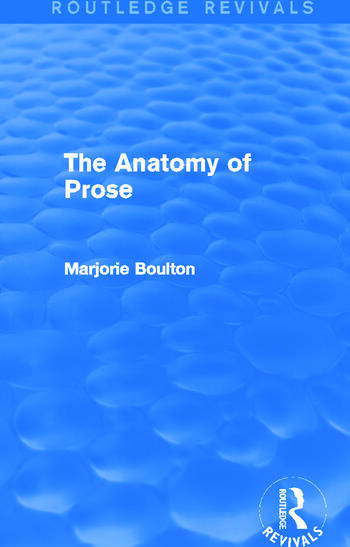 Writing that students generally find it more challenging to analyse a passage of prose than a piece of poetry, Marjorie Boulton takes a systematic approach to the technical elements of prose, considering form, vocabulary, rhythm and the application of historical context. With suggestions for further reading and practical, lucid advice, this reissue will be of particular value to students of English Literature in need of a constructive study aid.